and there's an app for that too! and the Optima-CRM App, made for the agents on-the go. Available for both iOS and Android users. A revolutionary solution in the Holiday Rentals space that reduces the amount of work for the agency, auto-check-in guests & put your guests in control of up-to-date in real-time with all the information about the property and the surrounding area. App branded in your company. Connect to your own booking system for rebooking & updates. Earn money on App bookings. Deploy the Maintenance App to automate Work Orders with maintenance people. Easy to find the property location on live map. Guides to How-to-use household appliances. WIFI code & emergency numbers. Book recommended restaurants, events, transport, etc. Report problems with voice recognition in many languages. For Agents: all the information needed in your pocket with the Optima-CRM App! The Real Mobile Solution especially made for Real Estate Agents on-the-go! Move from being a paper dinosaur to being a modern agent and have access to all relevant information right when and where you need it. Creation of properties in real-time: add all features & upload pictures from smartphones. 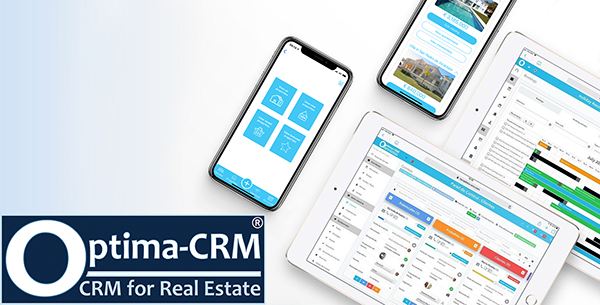 Find out about the latest trends in real estate and how the most qualified CRM Optima-CRM can help you respond to them in the right way. Real Estate client management, ready for the summer?